Today, we are going to see how design professionals Loko Architecten designed a home extension that neatly inserts itself between two existing structures. 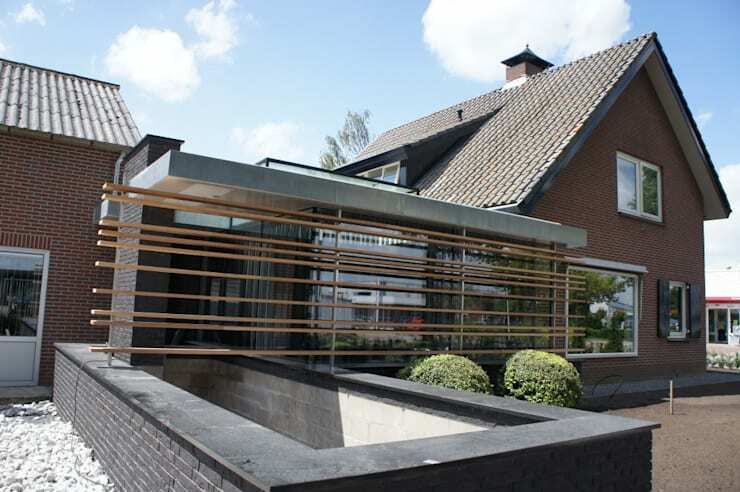 Originally built in the 80's, the owner of this Dutch house wanted to extend their living area. By using the space between the main house and an outbuilding, the architects created a brand new quarter that's bright and spacious. They explain: The design plays a physical game with the architectural elements that blur the boundaries of space. The positioning of the roof with its recess and freestanding walls provide an exciting spatial experience. This is enhanced by the frame-less detailing on the structure. Let's take a look at how space has been experimented with to create a very unique design. From here, we can see the home is very unique, mixing contemporary and traditional. The facade features large granite window sills, with wooden slats that run across one section of the facade to create a very unique look and feel. The area of the home that we can see here was an extension, which brings a new dynamic to the overall design. 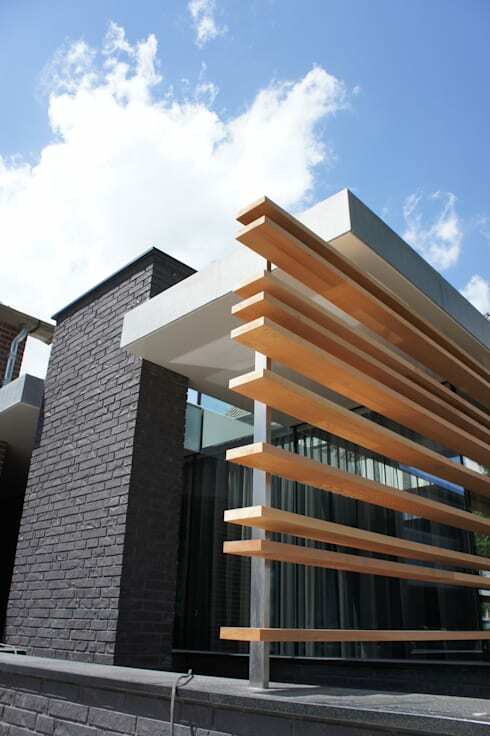 The wooden slats make for a very secure space, without compromising on the natural light that flows through the home. We can also see how the front garden enhances the facade, with the white stones and little green lollipop trees bringing a beautiful natural touch to the space. 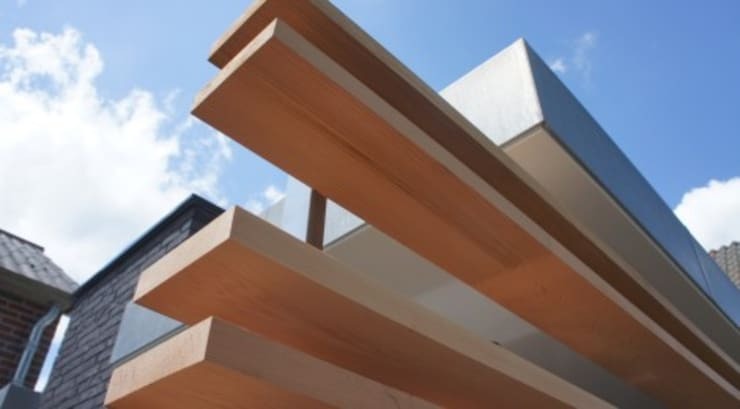 Wood is always a wonderful material to use for the exterior design of a house. It is durable and will last in all weather conditions. It also works with any style or design, making it a timeless quality. What's more is that wood brings a very warm, earthy and inviting look and feel to a space. Have a look at this home made of wood and wonder to see what we mean. The large, open roof allows natural light to flow into the space without compromising on the privacy or safety of the family. 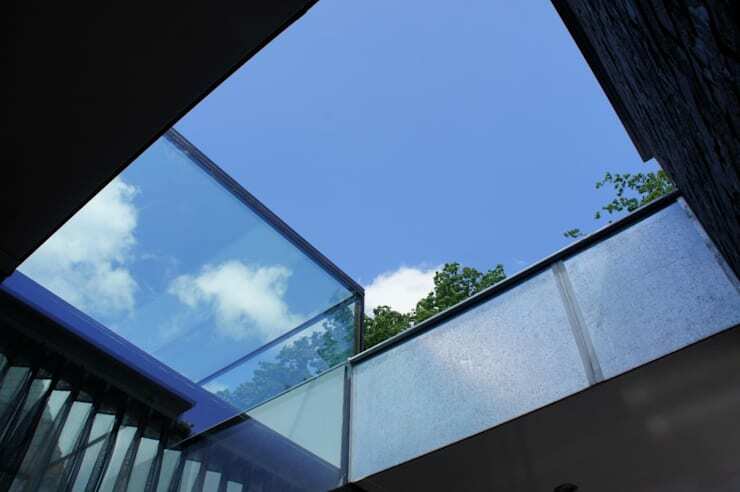 Natural light is key to a modern home, ensuring that it feels spacious, light and bright. If an open roof like this is too bold, you could go for skylights or lots of large glass doors and windows throughout the facade. In this image, we can clearly see how the raw materials work together to create a very impressive look and feel. The wooden slats complement the granite window sills while the brick walls and large glass windows make for a very stylish and contemporary look and feel. Mixing materials can work incredibly well for a home design, bringing in some earthy and natural touches. It also allows different textures and tones to be subtly introduced. Tip: When it comes to mixing materials, go for a neutral colour palette. From the living room, we can see just how stylish and effective the extension is as well as how secure! The large glass windows offer panoramic views of the surrounds, while the wooden slats provide a bit of privacy and a bit of safety. In this room, we really get a sense of how natural light has enhanced the space, which has allowed the designers to go for darker tones throughout the interior design. Thanks to the skylight, sunlight flows into the room. The black sofa and grey floors are thus perfect for this room. If you've enjoyed this home, you'll love this family home that is also beautiful and secure! What is your first impression of this home?